The Dominican president, Lionel Fernandez offered 800 soldiers to reinforce the U N mission in Haiti after the January 12 earthquake that destroyed the Haiti’s capital and its surroundings. Dominican Today published an article entitled “Reported decision to send Dominican troops to Haiti” on September 27. According to this article 680 Dominican soldiers will join the UN peacekeeping mission or MINUSTAH in Haiti. the firs group of soldiers already trained and most of them are from the Special Operations Command (COE). Military sources told the El DÍa newspaper, “a move that would draw the rebuke nationwide,” said this article. The UN mission in Haiti is known as an occupation force since its beginning. People who are against the 29 February coup d’état perceive the UN mission in Haiti as a guardian of international coup d’état carried by the United States, France and Canada against the Haiti’s democratically elected President Jean-Bertrand Aristide in February 29, 2004. The decision of the Dominican government to send troops in Haiti proved the participation of the Dominican government in destabilizing peace in Haiti. Nobody can forget the role played by Dominican government in destabilizing the Jean-Bertrand Aristide government. The majority meetings with the rebels like Guy Phillipe, Jodel Chamblain took place in the luxurious Dominican hotels. All attacks against the Aristide government carried by the rebels were planned in Dominican . The Dominican government did nothing to stop the rebels from crossing the border back and forth to trouble peaceful Haitian citizens who live near to the border, the central, and northern of Haiti. The Dominican government until today has not apologized to Haitian people for disturbing peace, and plotting against their government. By nay mean, Dominican soldiers cannot be peacekeepers for Haitian people. Dominican soldiers mistreat Haitians all the time whether at the border or in DR. This decision was a dream, a hatred dream that had been carried by a group conservative Dominican. The dream is, one day they can dominate and put their boots under the necks of Haitian people. This dream is about to concretize thanks to the 2004 coup against democratic Aristide government. Dominican will be sued to execute this famous hatred mission in the name of UN peacekeeping /war-keeping mission in Haiti. It is a shame for Haitian people, and as well a shame for the history that this occupation will be possible under l President Rene Preval’s leadership .Under Preval will let Dominican soldiers rule Haiti and continue to humiliate Haitians in their own country. They will revenge. Because Dominican right-wing politicians forget that the original idea of the former slaves was not to occupy each other, but to consolidate peace and to prevent the reestablishment of the slavery system in the Island. 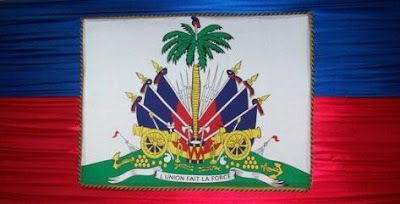 Haitians and Dominicans are brothers and sisters and condemn to inhabit the Island together. They must live as brothers and sisters, not as slaves and masters. Please take a stand against the Dominican Occupation of Haiti under the UN-Preval Leadership.And say YES to brotherhood and sisterhood relation, NO to slave and master relation between Haiti and Dominican Republic.